Montgomery County Fire and EMS spokesman Pete Piringer said the slithering reptilian bit the Rockville, Maryland resident, who had been gardening when they happened upon the snake. WASHINGTON — A Montgomery County resident had a chance encounter on Saturday with an uninvited guest: a venomous copperhead snake. Montgomery County Fire and EMS spokesman Pete Piringer said the slithering reptile bit the Rockville, Maryland, resident, who had been gardening when they happened upon the snake. The reddish-gold copperhead is common across a vast swath of North America, ranging from Massachusetts to Texas. Though considered venomous, its bite is rarely fatal, but can still lead to swelling, nausea, and — in more extreme cases — muscle or bone damage. Luckily, Saturday’s encounter was a “dry bite,” where the snake moved to bite but didn’t inject venom. Medical personnel deemed the injury nonlife threatening, and Montgomery County Animal Control captured and relocated the snake. 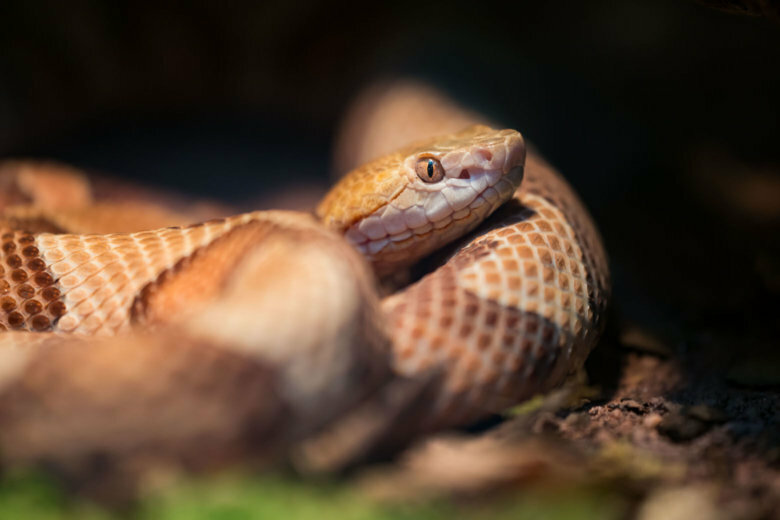 According to the Centers for Disease Control, copperheads aren’t usually aggressive and tend to avoid humans, with most bites occurring when people unwittingly step on or near one. They’re most often found near forested, rocky or swampy areas — the incident in Rockville occurred near Watts Branch Park. They’re not all bad news, either: A protein found in copperhead venom shows promise as a cancer-fighting drug. It’s been an eventful year for random snake encounters in the D.C. area, with the latest incident coming just weeks after a young Anne Arundel County student found a black snake stowed away in her school desk. Last month, Georgetown Library was forced to close for two days after four garter snakes were discovered among book stacks. On Friday, Virginia wildlife officials reported capturing a snake with two heads, because that’s apparently a thing that can happen. But rest easy, fellow humans: the National Zoo has quashed rumors of an impending invasion by a reptilian armada. Oh well, there’s always science fiction.